Find out how to complete the We Found a Rifle Exotic Quest in Destiny: Rise of Iron. Few weapons are as iconic as the Khvostov, a basic Assault Rifle which mean players will recognize as the very first weapon you ever get in the Destiny storyline. Diving into the nostalgia of our first days with the game, Bungie has included an updated and upgraded version of this assault rifle in Destiny: Rise of Iron, the newest expansion in the Destiny loot and shoot universe. 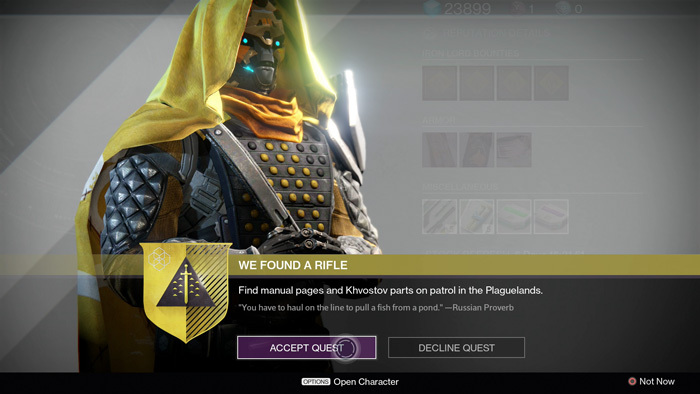 In this guide we will show you how to obtain all the Khvostov Weapon Parts, how to get the Exotic Quest, We Found a rifle, started, and how to score this amazing firearm for yourself. The first thing you need to do to get this weapon is get the quest started. This step can actually be completed two separate ways, so we’ve outlined them both below. The easiest way to get this quest started is to dismantle the regular Khvostov Assault Rifle from Destiny Year 1. If you happen to have this weapon sitting in your Vault, just dismantle it to receive the Khvostov 7G Schematic. If you don’t have it, but you have a free character slot on Destiny, simply create a new toon and complete the first mission. Then transfer the weapon to your main Guardian, and dismantle it to get the Schematic. The long way around getting this quest started actually requires you to play through Destiny: Rise of Iron until you make it to the Plaguelands, the new Patrol area introduced in the expansion. It is in this area that you will find a Hive Wizard, the Brood Mother. You can kill this Wizard to receive a special Legendary consumable, the Splicer Intel Relay. Using this item you can head back to the Breach, towards where the Destiny story first started, and unlock a laser grid. You can continue from here out onto the old highway where your Ghost first found you, and into the Fallen Ketch beyond. There will be a special Ultra enemy here that you can take down. Defeating this Ultra enemy will unlock a chest in the back right hand corner of the room, which when unlocked will reward you with the Khvostov 7G Schematic. 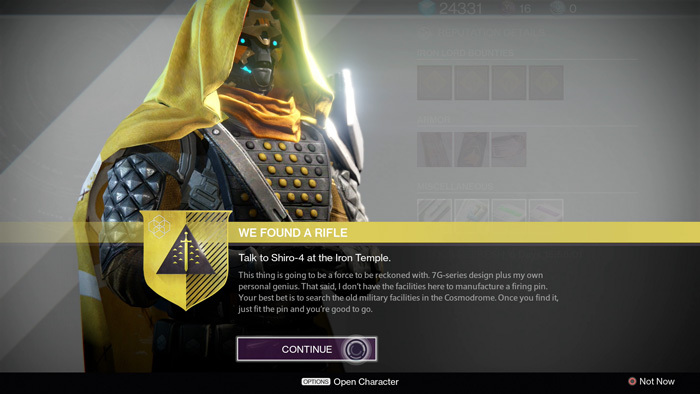 Now that you have the Khvostov 7G Schematic, it’s time to head back to the Iron Temple and speak to Shiro-4. He’ll grant you a new task to collect 10 Khvostov Manual Pages and 3 Khvostov Weapon Parts. The Manual Pages are easy to gather, as they can simply be obtained from killing random enemies while on Patrol in the Plaguelands. We’ve outline how to get the three separate Khvostov Weapon Parts in a small guide, with images, below. 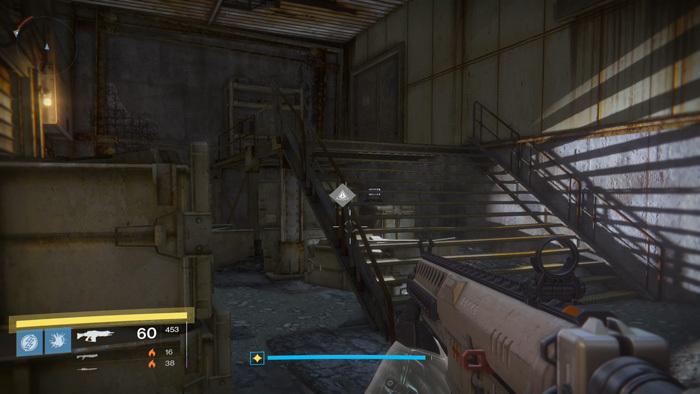 The first Khvostov Weapon Part can be found in the Refinery, while on your way towards The Blast, where you fight the Fallen Walker in The Devil’s Lair strike from Destiny Year 1. Look in the corner of the snowy room with Devil Splicers, just before you head through to The Blast. 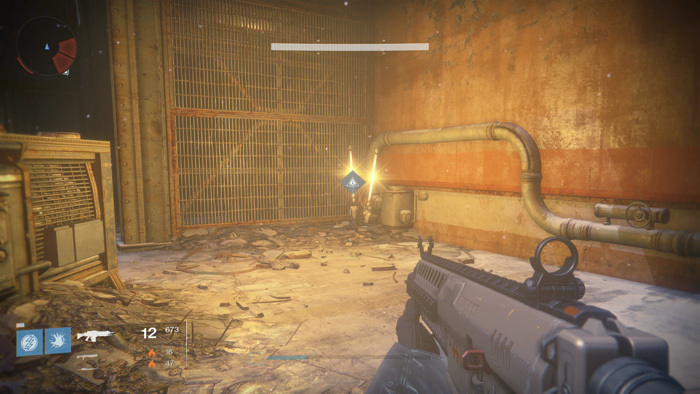 This second Khvostov Weapon Part is also located along the journey towards Sepiks Prime. 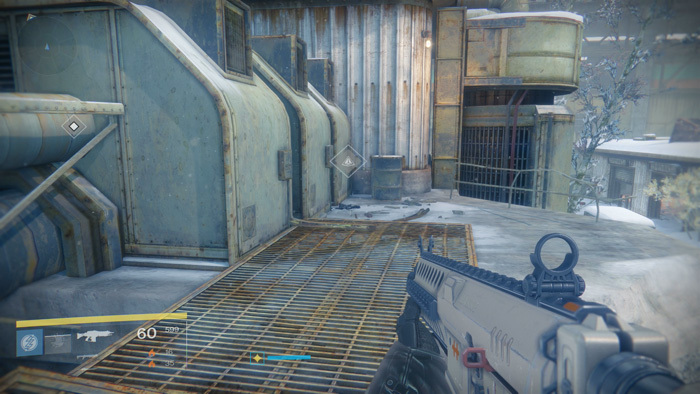 Head into The Blast, the large area where you fight the Fallen Walker in The Devil’s Lair strike. Jump onto the building in the middle of the area, then drop down on the metal catwalk on the side opposite of where you entered to find this item on the ground beside an old barrel. To find the last Khvostov Weapon Part you will need to make your way to Dock 13, where your first find your ship in the very first mission from Destiny Year 1. Look in the room with the large stairs leading up, and you’ll find this item on a crate underneath the landing. 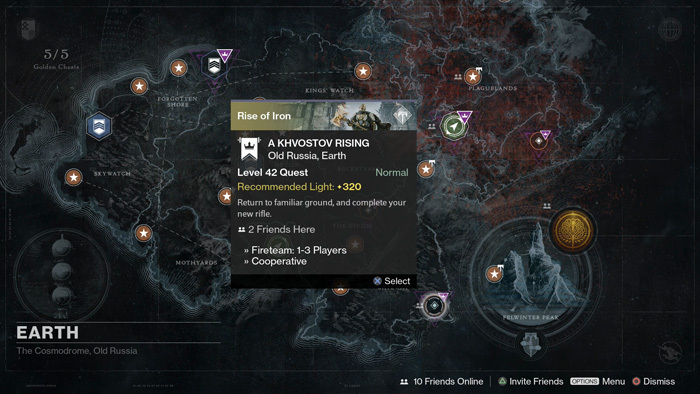 Once you have collected all three Khvostov Weapon Parts, and gathered up all 10 of the Khvostov Manual Pages, make your way back to the Iron Temple and speak with Shiro-4 once more to earn a new task to complete the missiong A Khvostov Rising. The final step of this quest is one of the toughest and longest Exotic Quest missions we’ve ever experienced in Destiny. After speaking with Shiro at the Iron Temple, you’ll be tasked with gathering up a Firing Pin for your almost complete Khvostov 7G-0X. To do this head to the mission A Khvostov Rising, and make your way through it, eventually taking out the big boss at the end. This will reward you with the Khvostov 7G-0X, which will drop like an Exotic Engram. If you don’t have room for it in your inventory, don’t worry, it will spawn at your Post Master after the mission. If you follow the steps we’ve outlined above, you shouldn’t have much trouble grabbing this epic Exotic Assault Rifle. It’s easily one of the best new weapons in the game, and we’re happy to see Bungie give it the Exotic treatment. You can find out more about Destiny: Rise of Iron by heading over to our Destiny: Rise of Iron walkthrough for more guides, tips, and tricks.